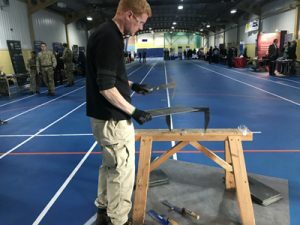 Several roofing businesses and organisations joined together today (10 October) to encourage ex-forces personnel to explore a new career in roofing. 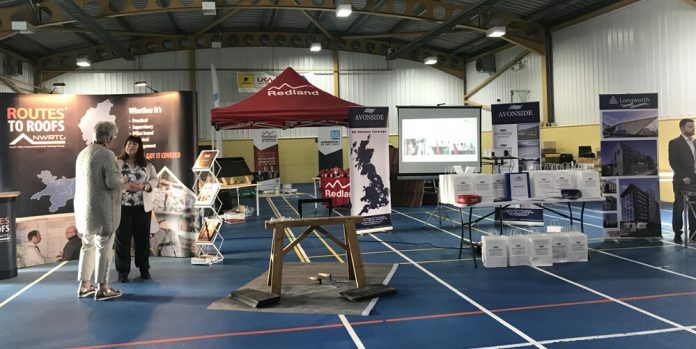 Coleg Cambria College in North Wales hosted the event, welcoming a variety of information stands and hands-on demonstration activities offered by roofing industry professionals. The North West Independent Roof Training Group (NWRTG), Redland, Longworth, and DMR Training all pitched up alongside Roofing Today’s Top 30 UK roofing contractor, Avonside Group. 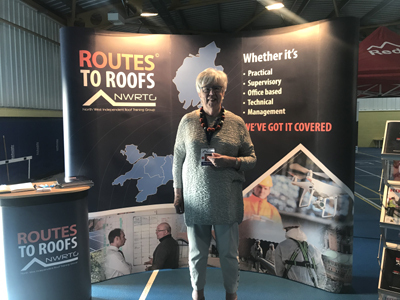 Offering information on routes into roofing, the wide range of careers on offer, and training opportunities, the roofing exhibitors also gave service leavers a chance to try their hands at slate cutting, as well as taking home with them lots of free goodies. 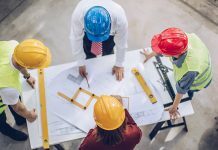 CITB, in association with Kier and CTP, organised the ‘Forces in Construction insight day’ to enable a range of national and North West based employers to showcase their employment and training opportunities to all ranks and backgrounds of ex-service personnel. The event also provided attendees with the opportunity to attend a morning or afternoon conference which incorporated a number of presentations and expert advice about transitioning into construction and roofing, translating skills and achieving employer engagement. Are You a 2019 Roofing Winner?